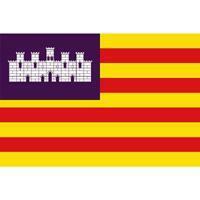 Balearic Islands (autonomous communities). It has a population about 1,113,114 inhabitants, the area is about 4,992.00 km², its density is 222.89, its unemployment rate is 17.02, its coastline length is 1,428 , its number of provinces is 1 , its number of municipalities is 67 , its gdp is 26,859.09, its average altitude is 138 , its capital is Palma de Mallorca, its president is José Ramón Bauzà, its number of unemployed is 68,395 , its activity rate is 63.30, the number of foreign tourists in the last year was 10,099,465 , the number of nacional tourists in the last year was 2,940,028 , the average house price is 1,897.20. There is information in Classora Knowledge Base about 11 rankings, reports and surveys.